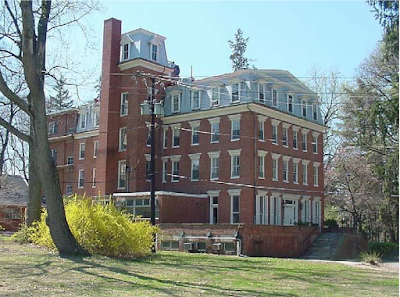 No Rockville resident came out last night in support of a developer's request to amend an approval governing redevelopment of the site of the historic Chestnut Lodge. A public hearing before the Mayor and Council on the fate of the spot where the famed mental health institution once stood found developers standing alone in support of their proposal for seven townhomes. Residents and historic preservation experts who spoke strongly supported the option of reconstructing the building. Nancy Pickard, Executive Director of historical preservation organization Peerless Rockville, said the group supports the Planning Commission recommendation to reject the proposed amendment. There is a "substantial difference" between the original proposal to modify the now-destroyed Chestnut Lodge as a multifamily residential building, and the more horizontally-oriented townhome proposal. Townhomes are "inconsistent with the historic district," she said. Pickard said the vote gives the Mayor and Council the opportunity to step back and consider the best future for the site. "Reconstruction should be given consideration," she concluded. Dr. Alan Shiffenbauer spoke about the history of Chestnut Lodge, and urged that its significance "should be valued, it should be preserved, and it should at least be honored." There is "widespread community opposition" to the townhome proposal in the West End neighborhood, West End Citizens Association President Noreen Bryan told the Mayor and Council. 180 residents have signed a petition opposing the amendment to allow townhouses on the site, she said. Bryan noted that residents made many concessions to the previous applicant for the sole purpose of keeping the original building in place. Now that it fell victim to a suspected arson, the agreement remains in effect, she argued. That Planned Residential Unit agreement remains the crux of the debate. Larry Giammo, who was mayor when the PRU was agreed to, asked the Mayor and Council to imagine a reconstructed Chestnut Lodge being a conversation starter about the site's history. The "most significant mental health facility, arguably, on the planet...My God, that building was stunning," he recalled. What the developer has proposed, by contrast, is a "Disneyesque facade treatment," Giammo suggested. He recommended the amendment be denied. "Give reconstruction a chance," he said. "Perhaps we're asking the wrong question," Paul Newman, President of the 30 Oaks homeowners association, said. "We're in a PRU, and in a historic district." Why a development should not have to honor the PRU, he said, "it seems to me that is the question we should be asking." "Think about what is the right use of the property," said Peerless Rockville Board of Directors President Patricia Wolff, "and figure out a way for us to get there. The result of (your decision) is going to be there for a long time." She said she would like future passersby on W. Montgomery Avenue to look at whatever is ultimately built, and say, "'Wow!' Not, 'can you believe what they've done to that site?'" The applicant professed to believe their project would generate the former, rather than the latter, response. "You have before you the best possible outcome," attorney Stephen J. Orens of McMillan Metro, PC said. He suggested denying the application would be "a taking" by the City, and a case of inverse condemnation, although he did not explicitly threaten legal action. 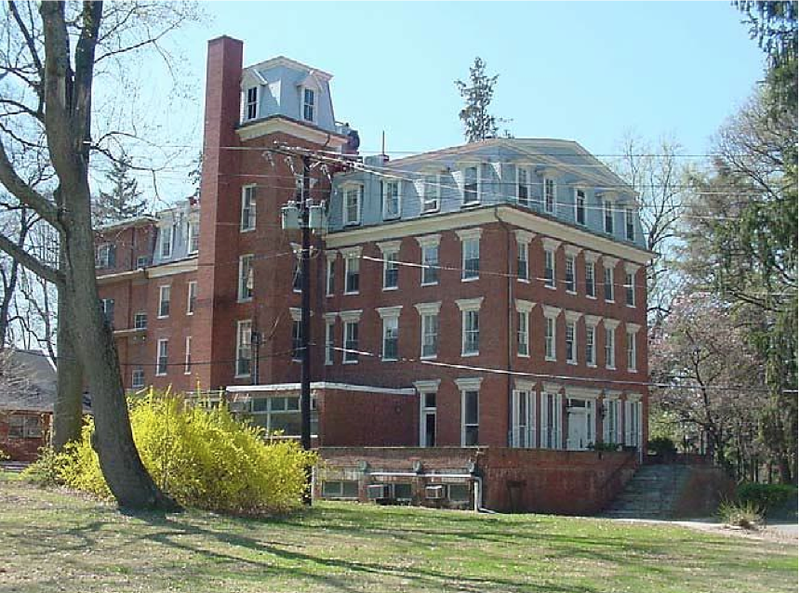 Orens and an architectural historian hired by the applicant cast doubt on the viability of reconstructing Chestnut Lodge. Such a structure would give "a false sense of history that, frankly, would not be consistent with the Secretary of the Interior standards," Orens argued. "My experience leads to a different conclusion," said Rockville historian Eileen McGuckian, who has been familiar with the site for fifty years. "There are hundreds, hundreds of documents" readily available for reconstruction purposes, she said. These include specific architectural studies of the site done in the 1970s, articles, papers, documentaries, photos, bricks retrieved from the fire that destroyed it, postcards, two County Cable Montgomery segments filmed prior to the fire, and raw footage from an unfinished documentary that also captured the structure on film. West End resident Andrew Sellman, who also served on the WECA Chestnut Lodge committee, said he had traveled the region ahead of the public hearing to investigate other reconstructed buildings. He found several, including the Appomattox Courthouse; the Staunton, Virginia Shakespeare Theatre; and the All Hallows Parish Courthouse, which were reconstructed from far less documentation than exists for Chestnut Lodge, he reported. Mayor Bridget Donnell Newton said her involvement in the issue goes back many years. As WECA president, she helped to reach the agreement with developer Morty Levine to preserve Chestnut Lodge. "It blows my mind" that the City Attorney and staff did not take a proactive approach to enforcing the existing PRU after the destruction of Chestnut Lodge, she said. Newton also questioned a precise and short timeline for approval of the applicant's proposed amendment shown by staff at the outset of the public hearing. She asked why dates were given by staff, when agendas are supposed to be set by the Mayor and Council. "When did that start," she asked. "You're obviously under no obligation to abide by those," responded Zoning Chief Jim Wasilak. "I personally don't have a problem with staff making a recommendation," Councilmember Mark Pierzchala said. He questioned why the Historic District Commission was limited to conducting a courtesy review of the application, rather than taking a larger role in determining the best course to proceed on for the Chestnut Lodge site. Pierzchala also said that the opposing opinions on what meets the Secretary of the Interior guidelines need to be clarified. City staff should weigh in definitively on the issue, he suggested. "That's a very important thing," he said.